Hello everyone! Did you miss me? 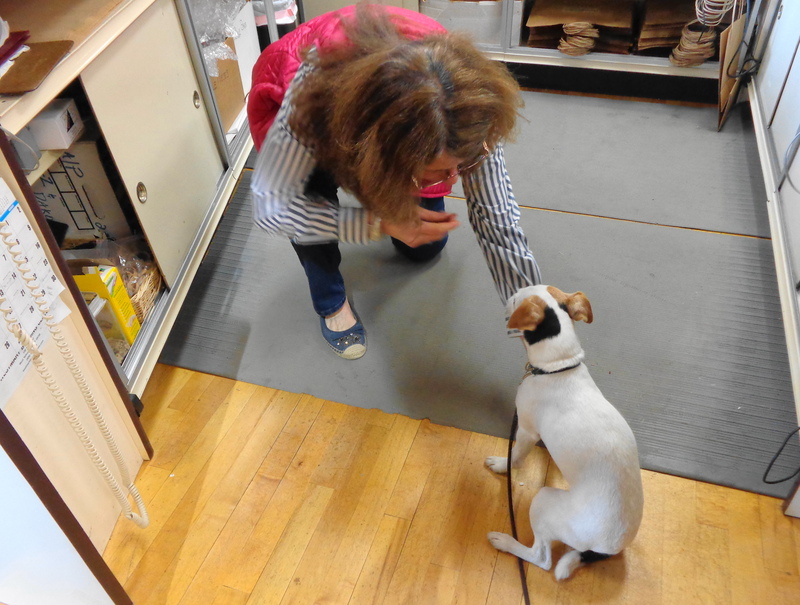 I know I have not blogged in a while, but “the Jack is back”!! While my parents are busy starting up again with Amazon, I thought I would recap my summer vacation. I know my parents had several posts regarding their adventures in Yellowstone National Park, but I have nothing to add, as I never went into the park. It is really not a dog friendly park. Dogs are only allowed where cars can go, and I know what parking lots look like! I guess the rangers don’t want us little dogs to be appetizers for the bears. Homeroom at Madison Crossing, the place where my parents worked this summer, was very dog friendly, and I quickly learned where the treats were located behind the counter. I visited several times, during our walks around town. For those that have been following me for a while now, you may remember my parents purchased a 16 squeaker stuffed squirrel for me. I diligently worked on destroying the squirrel this summer. 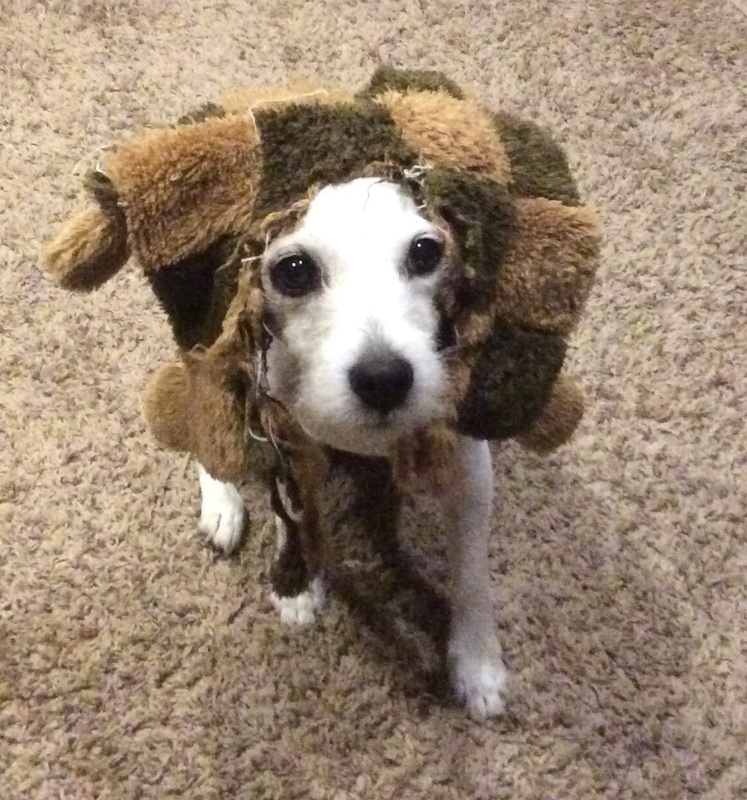 My parents were thrilled that this toy lasted over 6 months, but then decided the “dead” squirrel would make a good wig for me. I was not amused! 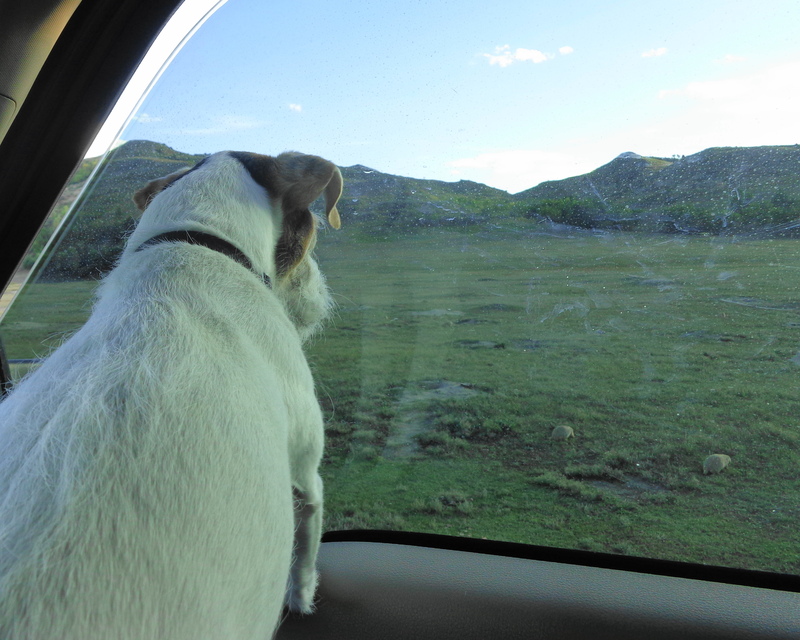 Once they finished up their summer jobs, we started heading east, and we stopped at a nice rest area in Montana, which had the best pet area I have ever seen. 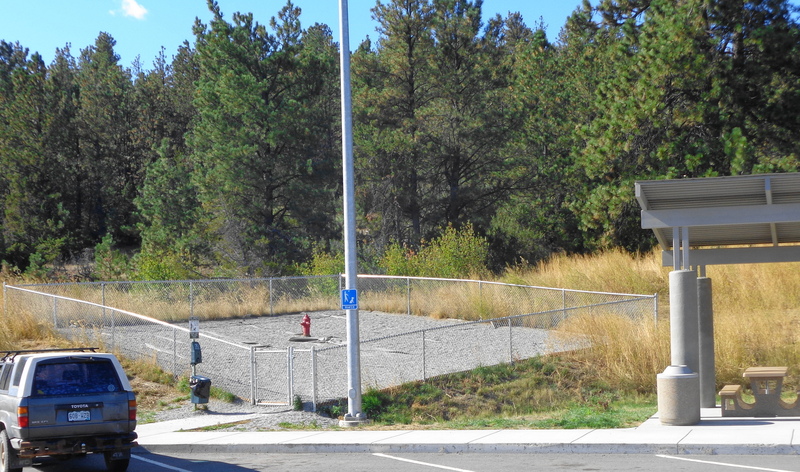 It was all fenced in, and had a fire hydrant right in the middle of the area. Lot’s of good smells! Too bad all rest areas can’t be like this! 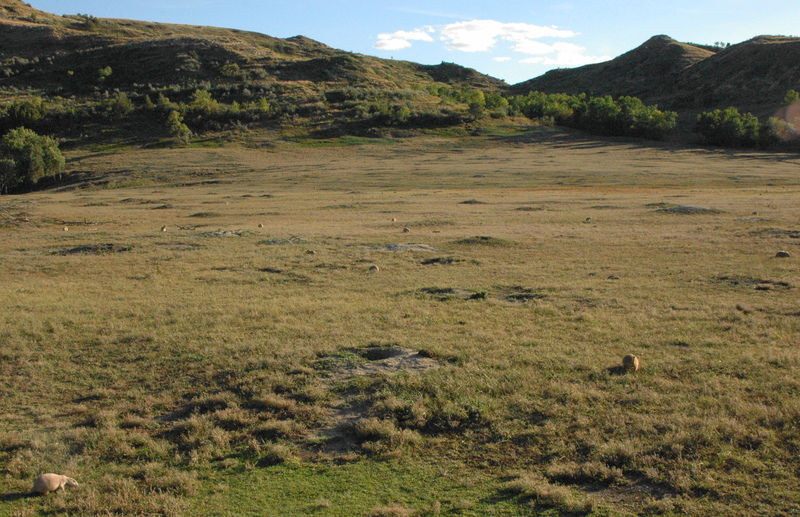 We stopped at Theodore Roosevelt National Park in North Dakota for a night. 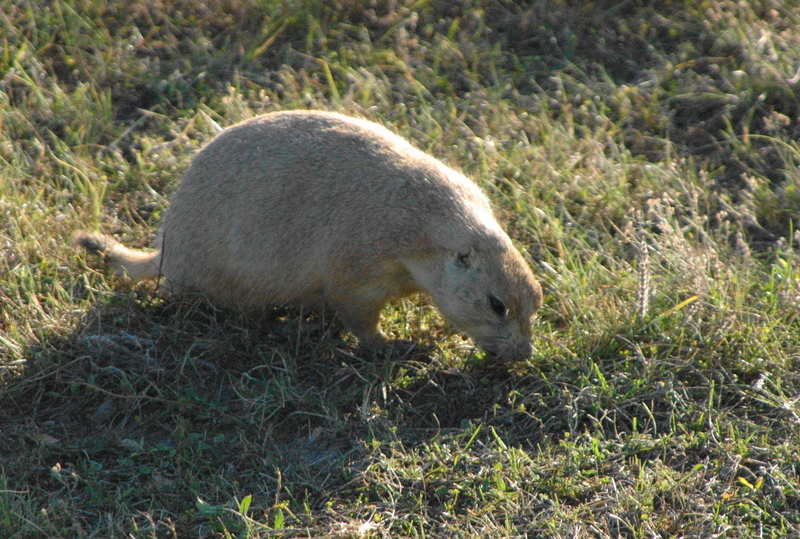 My parents drove around the park loop, and I was able to check out (from the comfort of the truck) the prairie dogs. My parents said I was not allowed outside of the car (another unfriendly dog park), so I could only view the hundreds of “park dogs” from the window. I barked and squealed a lot, just to let them know I was in the area. After a nice stop in MN visiting with Dan’s brother Gary and Julia at Camp Anderson West, we made it back to “Camp Meyer” (Dan’s sisters Linda and Doug). 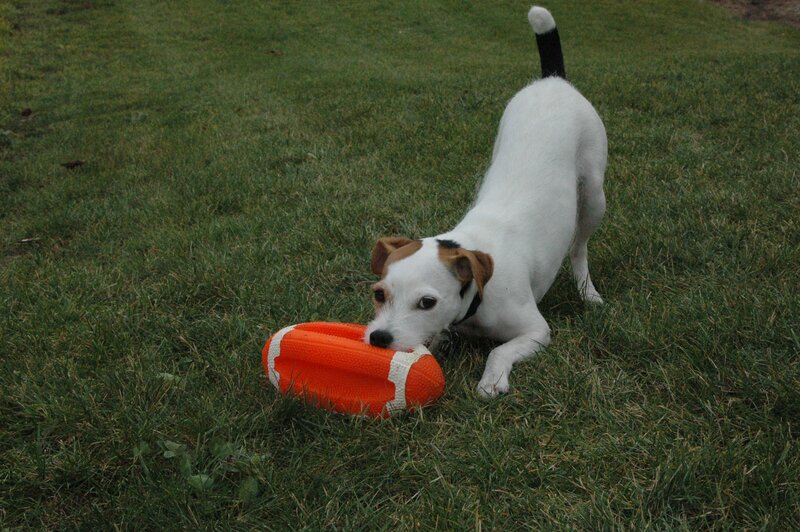 It’s my favorite place, because I can run around off leash, and get plenty of treats and attention. Since my parents were going to be busy with dentist/doctor and other appointments, my grandparents came down to take me to their place and spoil me for several days. I was so excited to see them, that I fell down the stairs of our 5th wheel, and got a big cut above my eye. 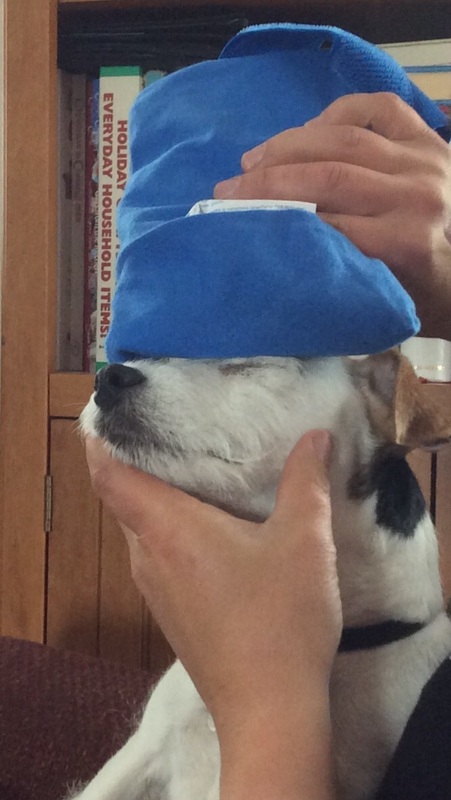 So I was put on a “time out” for a little bit with an ice pack on my head. Time went by so fast, and now my parents are starting their 3rd year at Amazon, this time in Jeffersonville, IN. I’m sure my mom will be posting soon about that. So I’m back to being in the camper for long days. Hopefully I can get some more treats and toys from this! Take care everyone, and thanks for following along on my journey. 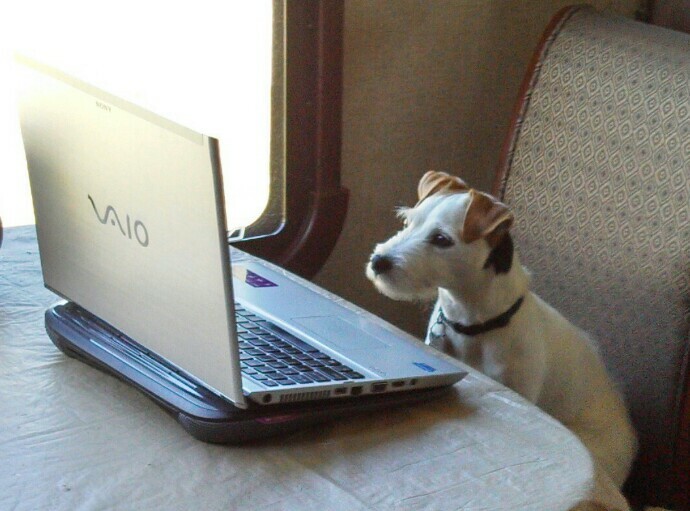 I’m starting year three on the road, and I am one lucky dog! Our time in West Yellowstone has ended. Sunday morning we hitched up and headed East. We had several very long travel days (we took turns driving) and our currently parked in Wisconsin at Dan’s sisters house. We will have a very busy two weeks here, before heading down to Jeffersonville, IN at the end of the month to start our fall work camping job with Amazon (year 3). This morning we did our drug test for Amazon. The woman at the lab remembered us from last year, and said she is still trying to convince her husband they need to follow in our footsteps! We will be driving to MN for a bridal shower this weekend, and then down to the Milwaukee area for dentist and doctor appointments early next week. We really enjoyed our jobs this summer at the Homeroom at Madison Crossing. 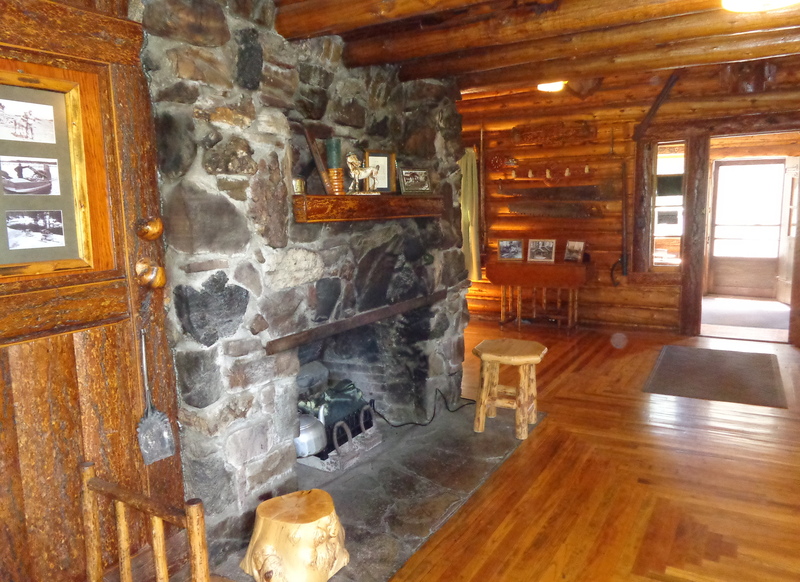 The owner asked us every day for the past several weeks to come back for next year, but we have always maintained we want to see other parts of the country each summer. We have a few ideas in mind for next summer, but nothing definite at this time. Hopefully we can solidify next summers job before this year is over. In the meantime, I do have one last blog from our time this summer. We took advantage on some of our off days this summer to venture over into The Gem State, Idaho. 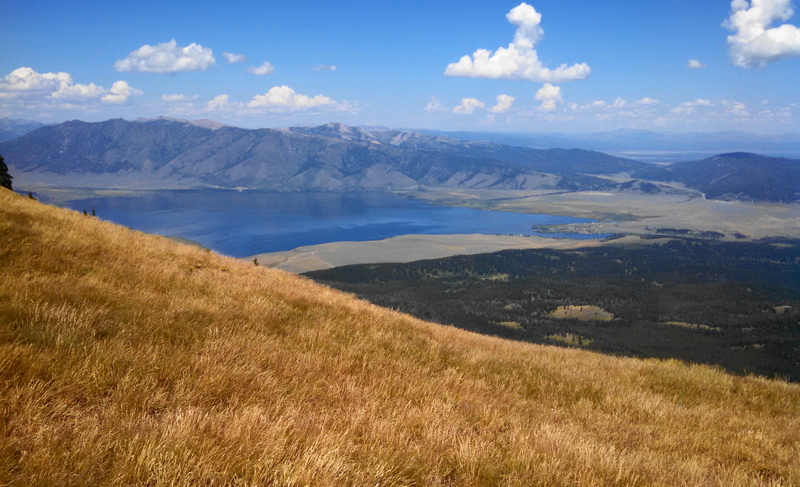 Most people would consider Idaho to be the potato state, as that is what it is most famous for. 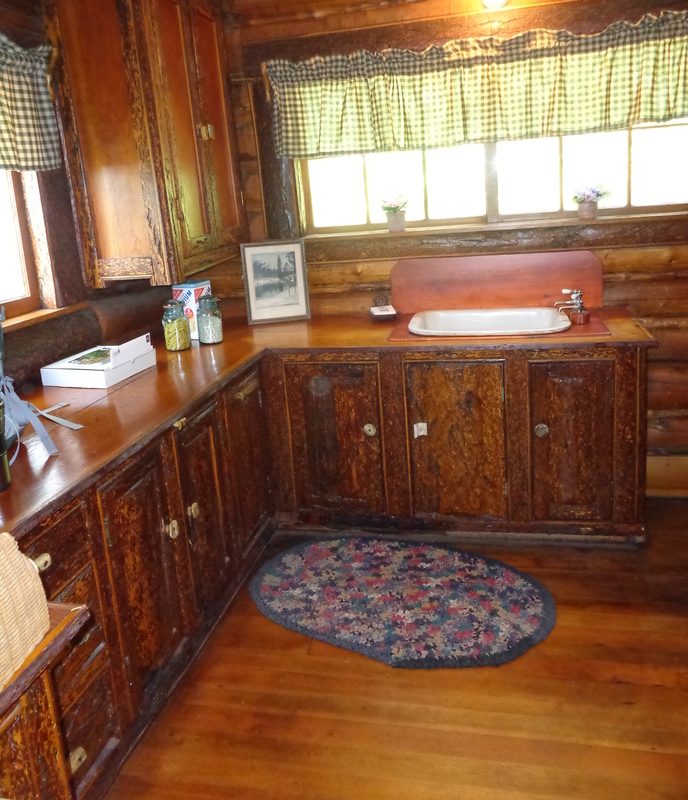 But they are called the gem state for its abundance of natural resources and scenic areas. The mountains contain veins of various minerals. 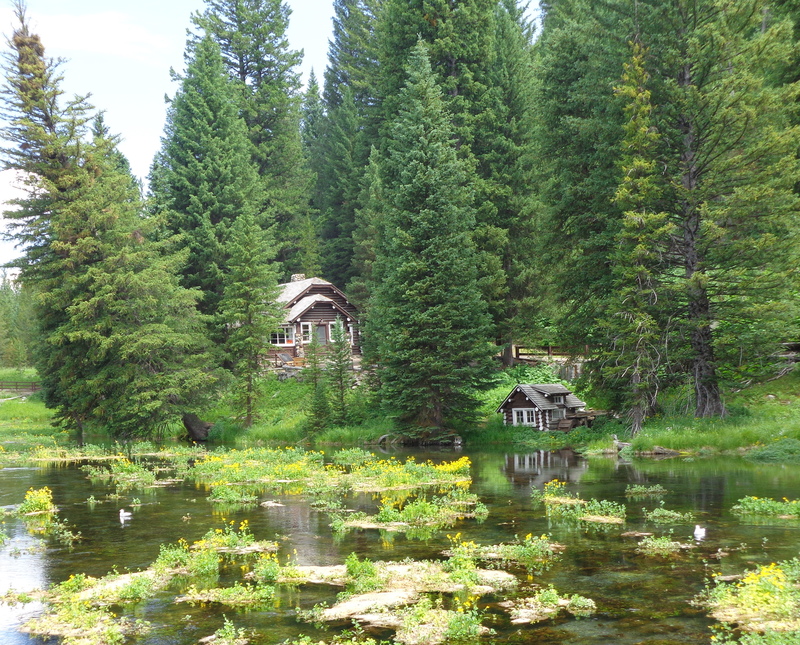 We checked out many of the local scenic areas that were a short drive from West Yellowstone. 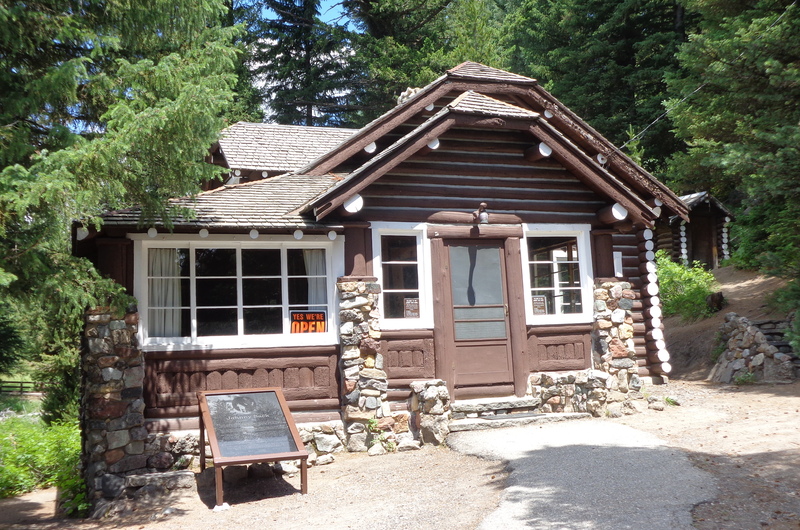 Located in Island Park, Johnny Sack Cabin is a popular tourist destination. 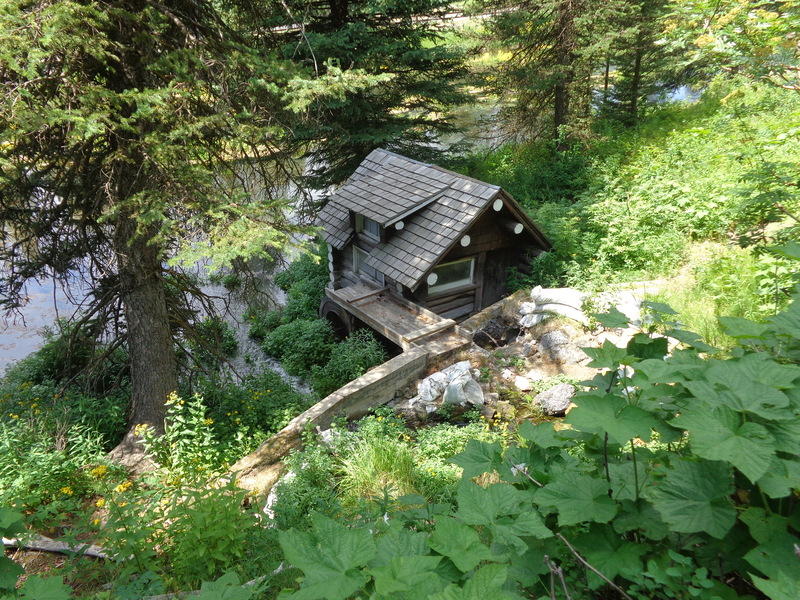 Johnny Sack purchased a parcel of land from the forest service in 1929, and spent the next three years building a cabin and water-wheel on Big Springs. 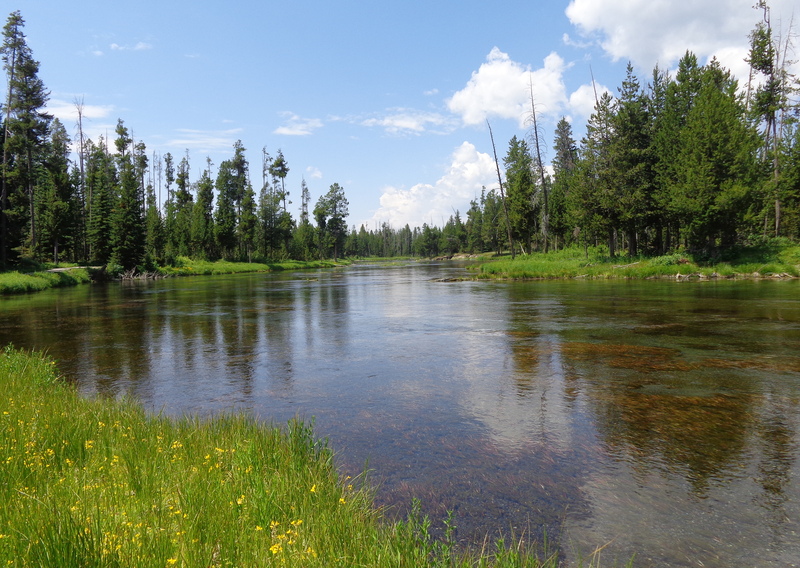 The scenery is beautiful, and the water is crystal clear and a perfect spawning area for trout. About 51 miles from West Yellowstone is the Mesa Falls Recreation Area which contains two water falls, along with Big Falls Inn, which is now on the National Register of Historic Places. Mesa Power Company built the Inn between 1912 – 1914, possibly as an office. There were plans for a dam and power plant, but they were never built. 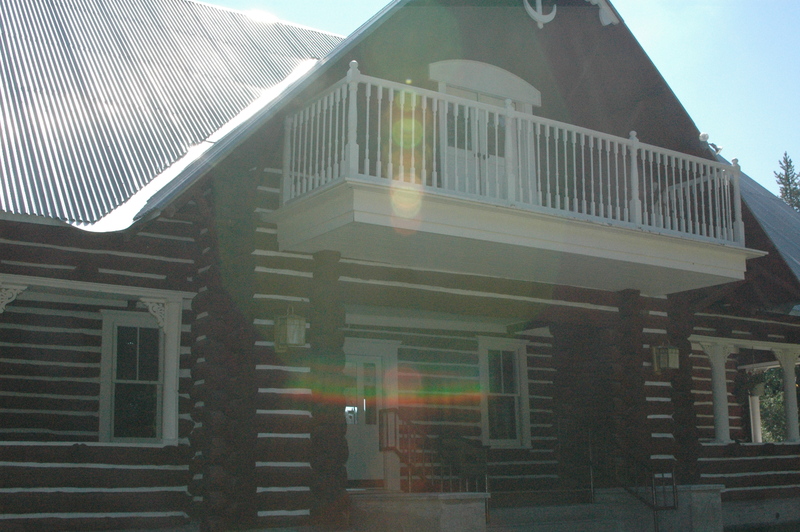 The Inn became a stage-coach stop and hotel for travelers to Yellowstone, and served many other purposes over the years, before being acquired by the Forest Service in 1986. 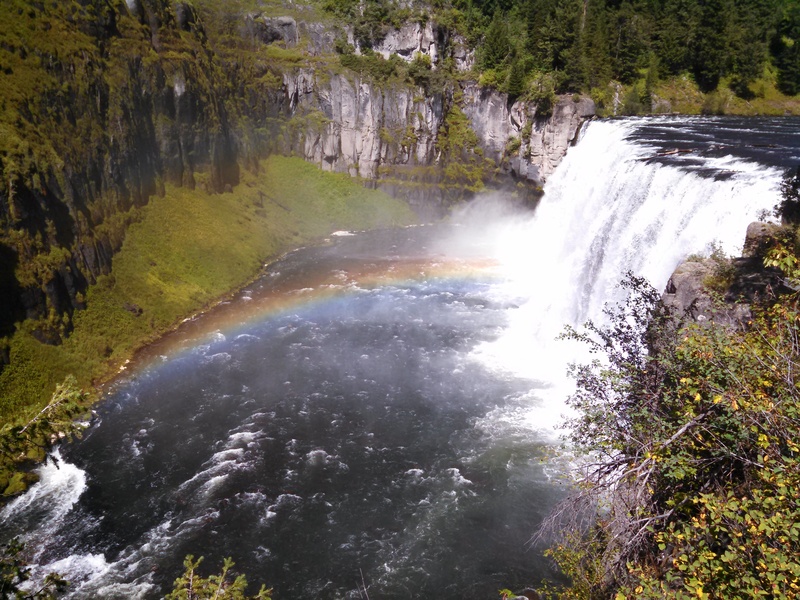 There is an easy walking path from the Inn to Upper Mesa Falls, which is 114 feet high. The falls is a very popular spot for photographers, because there always seems to be a rainbow present. 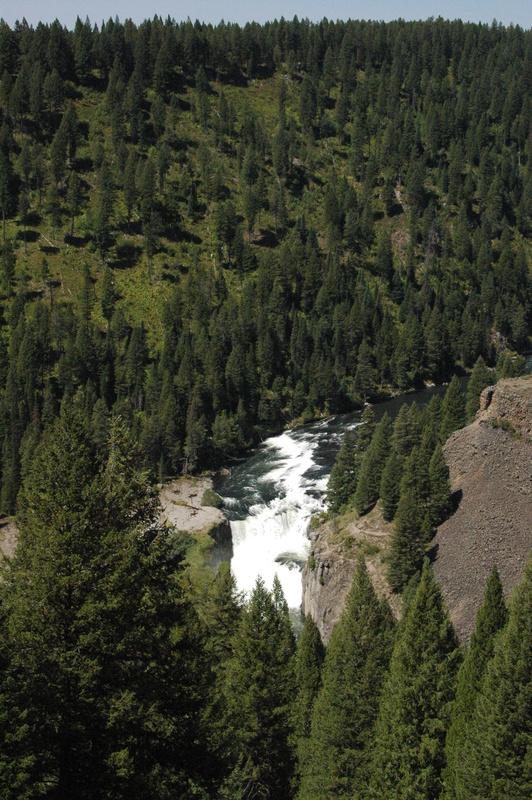 Lower Mesa Falls is located about one mile downstream from the Upper Falls. There is a distant overlook to view the 65 foot high falls. 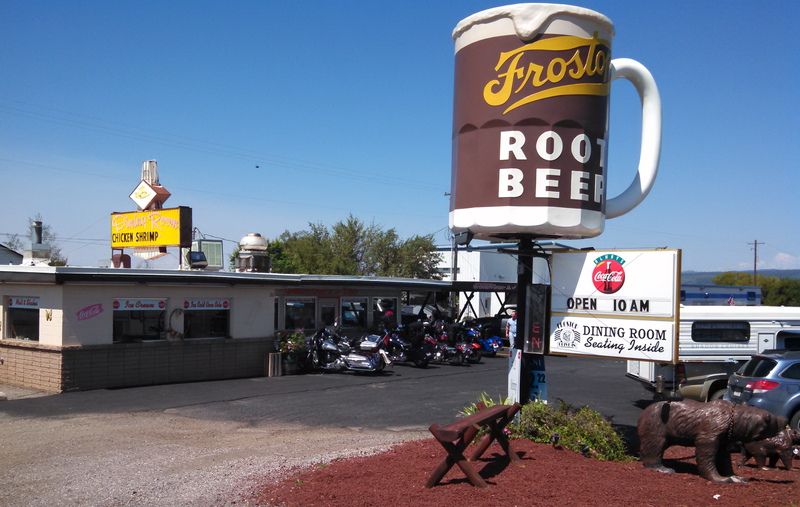 Our co-workers Tom and Ellen recommended we stop at Frostop in Ashton, Idaho for lunch. They had delicious hamburgers, outdoor service and ice cold root beer. We were too full to enjoy desert, which also looked good. This place was a blast from the past! When you approach Island Park, you can see a big metal ball on top of one of the mountains. What most visitors don’t know, is that you can drive up to the top of Sawtell Peak. 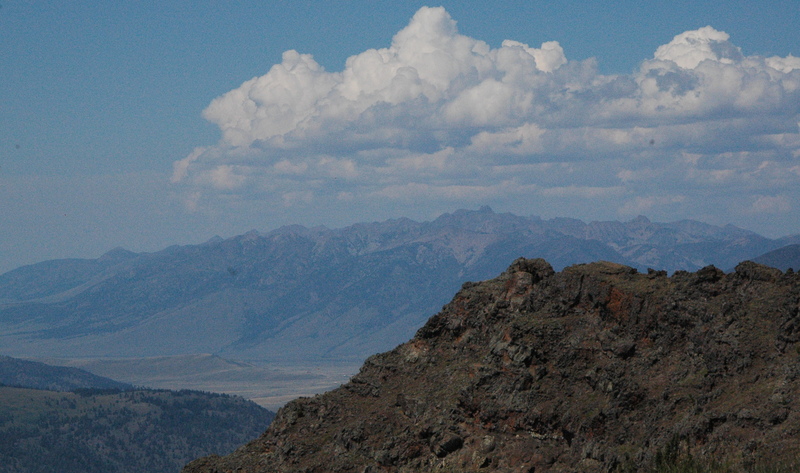 Those that do venture up the 12 mile gravel, windy road full of switch backs, will discover spectacular views. 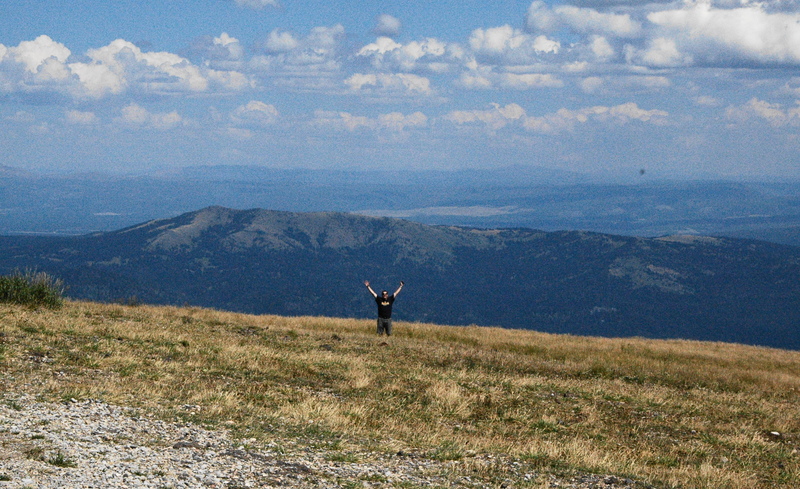 You can even see the Grand Tetons from the peak, which is amazing considering they are over 60 miles away (but difficult to get in a photograph). Why is there a road going up to the top of the 9875 foot summit? The big round ball is actually a FAA flight traffic radar control unit. 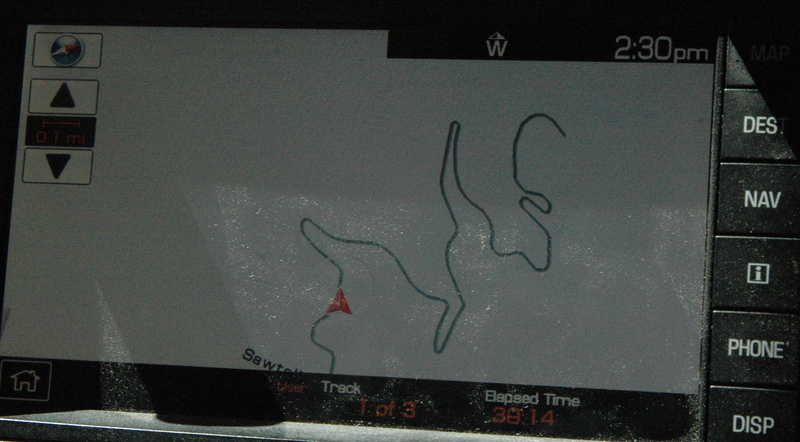 Our GPS shows how windy the road to the top is! When I saw Dan walking back up the hill, I immediately thought of Julie Andrews singing “The Hills are Alive” in the Sound of Music movie! 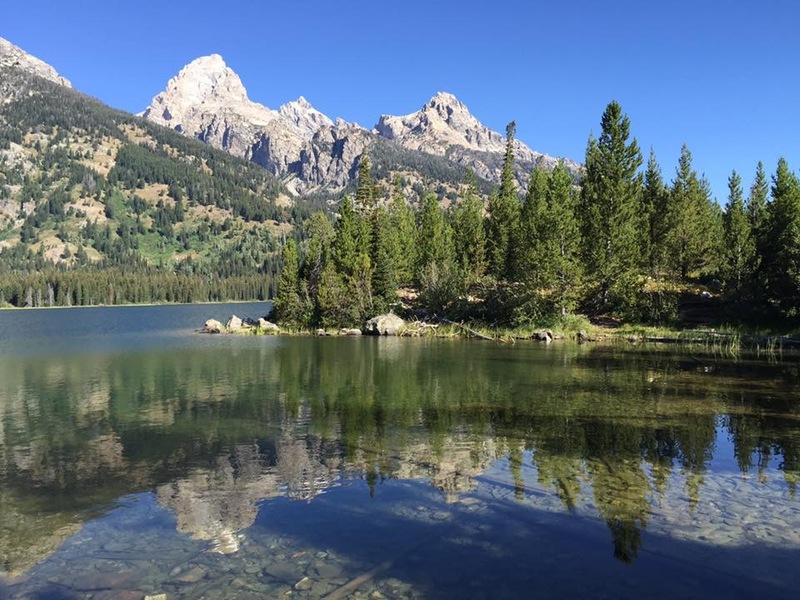 Idaho, from the small amount that we have seen, is truly a “gem” state. We hope to return and explore many more areas in this area..